Steven Butala: Today Jill and I talk about your first deal, should look like a huge disaster mess. By the way, it is a … man I wish somebody woulda told me [inaudible 00:00:19]. Jill DeWit: It’s hilarious. Just give me a description of what this should have physically … if i have, if an image comes to my mind, should you see someone … I mean what should be happening? Paint the picture. Steven Butala: I’m gonna ask you to describe your first deal, I’m gonna certainly describe my first deal in the meat of the show here. Steven Butala: I mean yours … your deal probably smelled like roses and looked pretty. Jill DeWit: I know, I’m trying to rethink back. Jill DeWit: Mm-hmm (affirmative) [inaudible 00:00:59] what I just do. Steven Butala: … in Ohio, trying to close an 80 acre deal in Arizona, and I’ve never done this before. Steven Butala: I have a lot to say. Steven Butala: I know, I snoop for you. Jill DeWit: You usually do. Steven Butala: Before we get into it, let’s take a question posted by one of our members. On thelandacademy.com online community, it’s free. I do have one thing I would like to add first here, Steven. Jill DeWit: I don’t know how or where Milan is doing his due diligence because I know he doesn’t have the tools that we have. Steven Butala: Oh, he’s not a member? Oh, Milan! Jill DeWit: No, he’s not. He doesn’t have the title pro 24/7. He can’t pull a lien report like we all can in 30 seconds. Or 10. Steven Butala: Okay, so his long story short … my answer’s gonna be short. Steven Butala: Become a member, and this would never happen. Steven Butala: Because we have all the lien related tools, and all the due diligence tools. Let me read the first sentence again. Long story short, colon. I bought 40 acres a few months ago for 4 grand. Next sentence. Did all my due diligence, period. No you didn’t. Part of your due diligence is call the county and see how the … immediately, actually. After you check it on ParcelFact, you’re gonna send a bunch of letters out and a few are gonna come back. One … this one might be signed. The first thing you do, when you open the mail or take that phone call is, go into ParcelFact and see if it’s property you want to buy. Is there access, does it have some attributes, the whole thing. The second thing you gotta do, is check the back taxes and pull a lien report like Jill said. So Milan, you’ve been … you come up a lot in land investors and things like that and we are really proud of you but it might be time. Steven Butala: You did every single thing right. Jill DeWit: … you did the best you could with what you had to work with. Steven Butala: And you know you want to do this, and you’ve done a bunch of deals. [crosstalk 00:03:50] It’s time to get the professional grade tools. Which are not expensive at all. Jill DeWit: But good job. Steven Butala: See, I wonder where he’s … you know, I want to make this about this question. Steven Butala: This is not to a regular listener, or even a new listener, this never happens. Jill DeWit: Right, I don’t have these issues. Steven Butala: I don’t want you to say “Oh my God, I don’t want to blindly buy 40 … ” That doesn’t happen. We have the tools to make sure with 99% accuracy that you’re not gonna be surprised about anything. Jill DeWit: I want to say, correct me if I’m wrong Steven, I’m trying to remember. It’s some … sometimes liens pop up in our initial data pull … pool. I want to say that there’s category for liens, I might be wrong. No matter what, I know we can go back and pull separate lien reports per property for 20 dollars, if that. Steven Butala: I don’t know why you’re getting a letter from a lawyer, either. Unless it’s some taxes. ‘Cause sometimes they send that out. If it’s anywhere out west here, there’s no … you don’t get a letter from a law office unless somebody’s being … so yeah, I question this whole thing. Last week I received a letter from a law office telling me that the property will be auctioned at a certain date. I’ve never received a letter from a law office saying my property will be auctioned. Steven Butala: The other thing too is that if you want to check on … this is back tax situation. You wanna check on it, pull it up on the county website unless it’s ultra rural. Or at worst case, call the treasurer, they’ll tell you. Before you buy it. 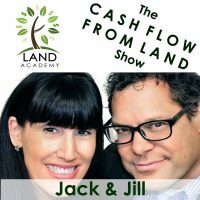 Jill DeWit: … share with everybody ahead of time so you’re going into this buying a good property. Steven Butala: It’s all the stuff that a regular title does in a deal. And then I’ll add it so … I’m not sure I’d be running around without being, having a tool, access to the tools we have. Well I know I wouldn’t. I would not be running around spending four grand on property without access to the tools that we have. However, if I was bent on doing that, I would close this deal with a title agent. Steven Butala: You know, this totally qualifies under the title of this episode. Jill DeWit: Yes? Perfect, nice headway. Steven Butala: Congratulations Milan, you’ve got a little bit of a mess on your hand. And you’re gonna figure it out. ‘Cause chances are, the property’s … that 40 acre property is worth a lot more than 8 grand. Jill DeWit: Hopefully it’s worth 12, or 15 or 20. Jill DeWit: And that it’ll work out fine. Steven Butala: Exactly. Today’s topic: your first deal should be a huge fireball, disaster mess. This is the meat of the show. So Jill, tell us about your first deal. Do you even remember your first deal? There was no program obviously, back then. It’s not like I could watch videos that you had made or anything you’ve done. It was just me by myself, kinda learning and then, next thing you know, here we are. Fast forward. Steven Butala: Here we are with the bank balance. Jill DeWit: You know what’s so funny too, I was talking to our team right now about the number of properties that need to be posted and we’ve got in our inventory. I’m like, everyone … they look at this like it’s a lot, I’m like “This is not a lot.” You have no idea how many properties that I by myself managed and dealt with at one time. Steven Butala: Yeah, I have a lot to say about that off air. Steven Butala: I’m the huge disaster mess. Jill DeWit: Number two, part of it is, I think my mindset that … I want to figure it out, I’m gonna try to figure it out, I’m not a give up kinda person. Steven Butala: Yeah, you’re just born that way. Jill DeWit: If anything, if anything it could be an attribute? It could be a flaw. You decide. But the minute you tell me that something can’t be done or I’m not capable of doing it, oh look out, here I come. Steven Butala: You’re way so more than me. Jill DeWit: Especially when people say “You’re a woman, let me handle this for you.” Ohh. Steven Butala: Oh my gosh, that’s what I’m gonna say that when we get outta here. Steven Butala: Oh, I know Jill. You’re a woman, I’m sure can’t handle this. Jill DeWit: Let me handle this for you. Well you know what? You wanna be dragging a leg down the street? That’s that … there you go. So that’s the way I am, but tell me about your huge disaster mess. Steven Butala: Wasn’t that big of a disaster, it just wasn’t what I expected. Which … I bought a property on eBay. I had a full blown really good shop with [inaudible 00:09:57] in Ohio. I bought a property on eBay in Arizona because I was shocked, it was 80 acres for four, five thousand bucks and I bought it. It was presented horrifically, and that was my whole premise and my justification for buying it, is if this is legit. You know what? I said “I’m gonna spend four or six thousand bucks.” I don’t remember that number. Maybe it was eight. I think it was eight, it was 100 dollars an acre. I said I had to rationalize it. This is before … any of this is happening, this is in the 90’s. If I just dressed this … the dress up, the posting, right? I’m looking at it only for marketing and money, I’m not looking at all the back and stuff, for deed and paperwork and administration and organization and how to make it a company and what people are going to look at and do I need a website? None of that stuff. So I’m totally going into this thing naïve. I’m gonna re-dress this all up and sell it on the internet and make it look right, for more. And it all worked. Somebody bought it and then it was a massive fiery ball of disaster from there on out. I didn’t know how to do a deed, there’s no one I could call. I called the county and they’re like “Yeah, that’s a joke.” They put the fear of the whole thing in me. Like, oh I know this person owns the property … they have access, they’re looking at a computer screen with all this information that I didn’t even know existed. This guy’s a crook, he’s … so I’m just like, I lost a ton of money. Steven Butala: So step by step by step, across the country i worked it out. That’s what happened. That’s just what you do. But, if I was afraid at all those things and really sat down with a piece of paper, with a pad and a pencil and “What can go wrong with this deal? What can go wrong with this whole, what I’m trying to do here?” I never would have never done it. Jill DeWit: I just thought of something. One of the things that we teach our members to do when you’re starting out is not spend all you 8,000 dollars. Imagine, instead of spending 8,000 dollars on one property, you spent 1,000 on eight properties. And one of them went sideways, and the other seven were huge successes, then you really wouldn’t care. That’s a really … if you want to test this, that’s a good test. Doing it that way and by the … so one goes sideways, big deal. You sell the other eight for double or more, your 8,000 is right now 20,000 dollars, you’re trying to figure out “Wow, how did that happen? Now, I got this.” You just did eight deals and you sure made a lot on that other one. Steven Butala: My point is, this is … wish I woulda, wish someone woulda told me that this week. That’s the theme this week. Steven Butala: It perfectly falls under that, was my deal a huge mess? Yeah, it was an absolute mess and I bet if I was gonna do my first deal tomorrow, it would be a huge mess. But we have resources now. Jill DeWit: Isn’t that amazing? That’s you back then … part of your mess was probably … you didn’t know what you were doing. You didn’t know who to call, you didn’t even know what to ask, you didn’t know, you were guessing, guessing, guessing. And it could have gon better, but you know what? Lucky for you, it still worked out great. Jill DeWit: Huh, and that’s fine. Jill DeWit: Not for you. That’s okay. Steven Butala: Because if you’ve got a better way to make ten grand on a deal, in about a week. That’s not your point? You can’t be bothered with answering the phone a few times and dealing with some emails, then I think you’re right. Steven Butala: But I was hooked. Jill DeWit: It’s like saying, I’m trying to think of any major company owner, does he really need to stand there and bless every transaction? No, you have to take his hands off approach. And that’s this job too. You have to take a step back or you’re never gonna grow, by the way. If you think that you’re personally gonna drive out there and stand on it, put a chair and take a picture of you on every single property that you buy, and you’re gonna do it all over the country, you can’t get ahead. Steven Butala: Sure. You know we say this a million times, what Jill’s saying. It’s not about the real estate. It’s all about the stuff we’re talking about. It’s about getting over, doing your first few deals. It’s about getting over the paperwork aspect and sending it out to the proper person and just being organized. Sticking to a schedule, it’s about everything … all the skills that you would need to own and operate a successful bakery are the same ones you need in real estate. Jill DeWit: Especially if you want to have a second bakery and a third bakery, and a fourth bakery. If you think you’re going to … your first bakery, you might be the chef. You might be the pastry chef. That’s your thing and you’re there every day, but you know what? You can’t do it … you can’t be in two locations, three locations, four locations. Steven Butala: Absolutely, well said. Jill DeWit: Thank you. That is dragging a leg down the street! Steven Butala: Oh my gosh, it’s not gonna go away. Jill DeWit: I know, sorry. Steven Butala: Join us tomorrow for another interesting episode where we discuss: you need time and smarts more than money. Jill DeWit: Amen. And we answer your question, post it on to landacademy.com, our online community, it is free. Jill DeWit: I think that was good. We don’t … even our members, you know it’s so funny. I haven’t seen or heard of a huge mess in a long time. Seems like on our monthly member call, I would hear about now and then like, “Oh man, I did it all wrong. I didn’t double my money.” Then you and I would ask them, “Well, how much did you make?” “Well I only made 80% profit.” What the heck? Jill DeWit: How is that a fail? That is not a fail. Jill DeWit: Can never do it again. Steven Butala: … I would love to make this a business. Completely cross-country.” How would I ever possibly get … put it in a system where I could just buy, cause I made eight grand. “How am I possibly gonna put this all in this system,” because if I could do this every month, that’s all I wanna do. One deal like that a month. Five to eight thousand bucks a month. At the time where I was in my life, I coulda walked away from my whole child, and my life and the whole thing. So I got on a plane and came out to Arizona and figured it out. Back then, this was long before mail. Sending the mail out makes it so easy. Steven Butala: I had to go drive around the country going to auctions. Just before the internet really kicked in. These are all good things, we’ve made this so easy and systematic, it’s awesome. Jill DeWit: It is. Share the fun by subscribing on iTunes or wherever you are listening, and while you’re at it, rate us there please.